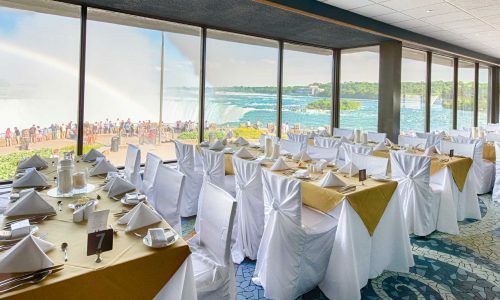 Queen Victoria Place Restaurant, open year round for wedding receptions and events, offers spectacular views of the Canadian and American Falls, with a spacious outdoor terrace that accommodates up to 200 people and 175 seated in the restaurant. Enjoy buffet-style, plated, or food stations for your private event, or let us create a customized combination for you and your guests. 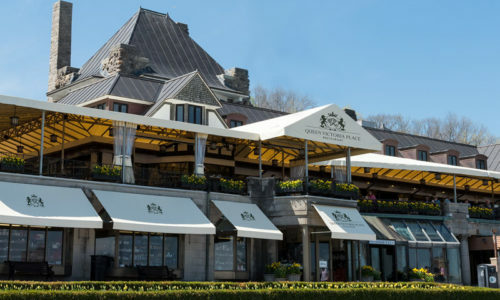 Born and raised in Niagara, Chef Sidney’s career began 30 years ago at the Prince of Wales Hotel in Niagara-on-the-Lake. 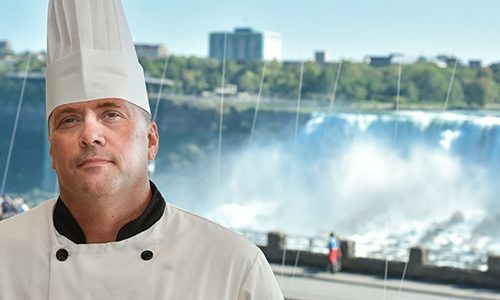 Since receiving his Journeyman Cook (Red Seal) certification in 1991 from Niagara College, Chef Sid has worked in a variety of restaurants within Niagara. Chef Sidney will help you create a menu especially for you and your guests. 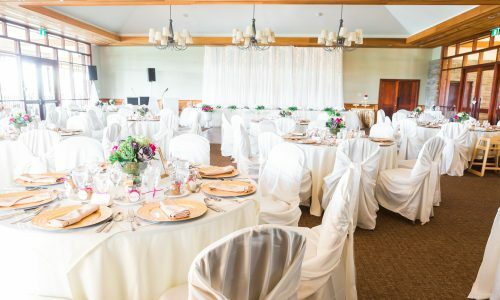 The Commissioner's Quarters, a little-known venue on the upper level of Queen Victoria Place, features a relaxed and charming atmosphere, complete with an intimate dance area. The illumination of the falls is breathtaking, occurring every night from dusk. 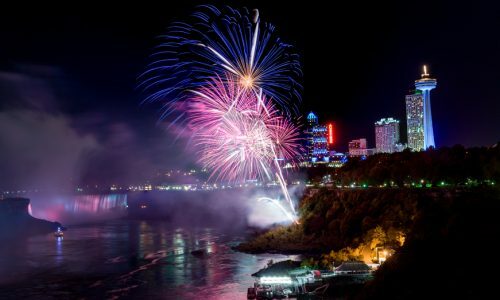 The Falls Fireworks light up the skies over Niagara on many nights throughout the year. Ask if fireworks are scheduled on the date of your wedding. 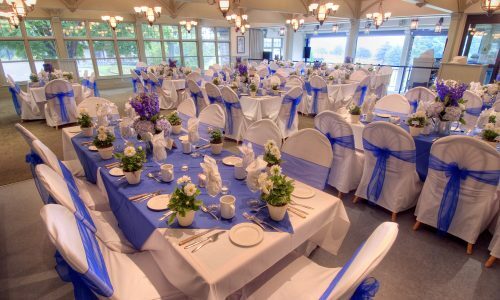 The restaurant is open year-round for weddings and special events. It has a capacity of up to 200 people. A $250 room rental fee applies to The Commissioner’s Quarters. The Commissioner’s Quarters is not wheelchair accessible.